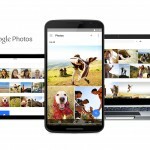 When it comes to managing your photo library, there are plenty of options out there and Google might not come immediately to mind. 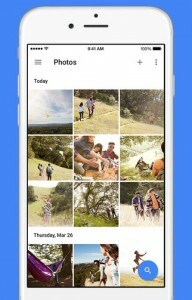 Nevertheless, I’ve been using Google Photos since it was unleashed from its hiding place inside the mostly ignored social network Google+, and I’ve been quite pleased with the new features the app incorporates. The app installs on your iOS device, and is also available for Android along with a browser version for Mac and Windows PCs. 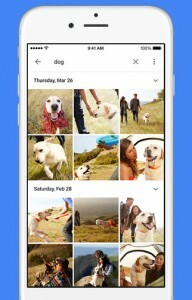 When you first launch and sign into Google Photos, it will ask for permission to access your image library and whether you want to store your pictures in their full-sized glory or in high quality. If you choose high quality, your images will be compressed and you’ll get unlimited storage. The compression is quite good, and the difference between the original and the compressed version is almost indistinguishable to the naked eye. If you choose to upload your photos in their original size, you’ll be limited by how much space you have left in your Google account. You get 15GB free, shared with other Google services like Gmail, and can pay from $2 to $200 monthly for 100GB up to 20TB of storage. 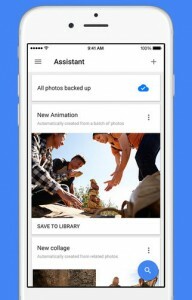 This truly nice thing about this option is that even if you have “optimize photo storage” enabled, Google still appears to upload the original size images, pulling them from iCloud rather than from your device. Uploading your entire library can take some time. It took almost a week for my library to upload in high quality, partially because the app does not continue transferring images when it isn’t open on your screen. I had to turn off auto-lock and let it run overnight for several days to get my library uploaded. Even before your library is uploaded, Google Photos goes to work looking through your images and crafting special creations from them. The app will create lovely vignettes, gorgeous and funny animations, digital photo books called Stories, collages, and even movies from the images in your Photo Library. You can choose whether to dismiss each one or save it to your library. My favorite feature of Google Photos is the search feature. 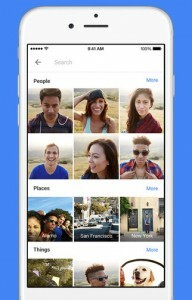 When you tap on it, the app presents you with groups of pictures organized by three categories: people, places, and things. It shows an amazing amount of intelligence in recognizing faces, and makes it very simple and easy to find the photos I am looking for. When the time comes to edit your pictures, Google Photos has some simple but useful tools. You can adjust light and color, and you can also make your images “pop” more with vibrant contrast or apply a vignette to the shot. There is also an “Auto” tool which will optimize the appearance of your photo automatically. 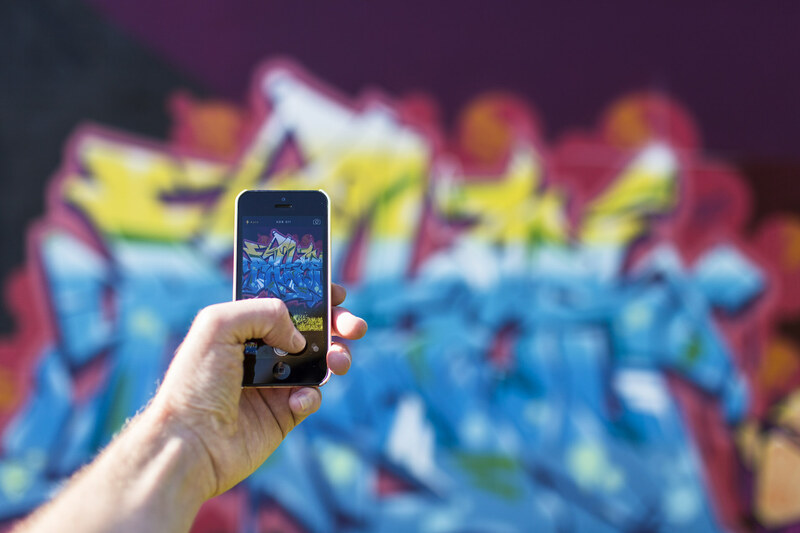 The tools, while pretty simple, are nice to have for quick and easy photo editing. You can also create your own movie, animation, collage, or story, which is like a digital photo book, from your pictures with easy-to-use tools. Of course, you can group your pictures together into albums, but I absolutely adore being able to make my own animations from my images. One potential drawback to Google Photos comes in when you try to delete images from your library. 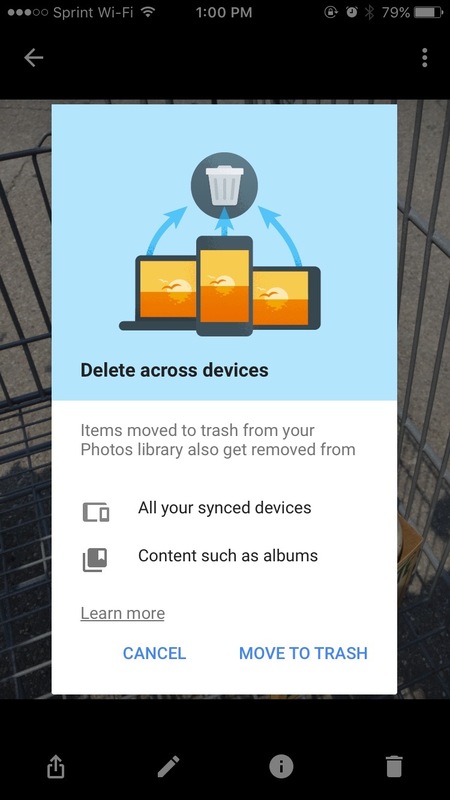 Deleting pictures from your Camera Roll has no obvious effect on your Google Photos library. However, if you choose to delete an image from within Google Photos, it will also delete that same picture across all of your connected devices and your iCloud library. Google does warn you that this is going to happen, to its credit. 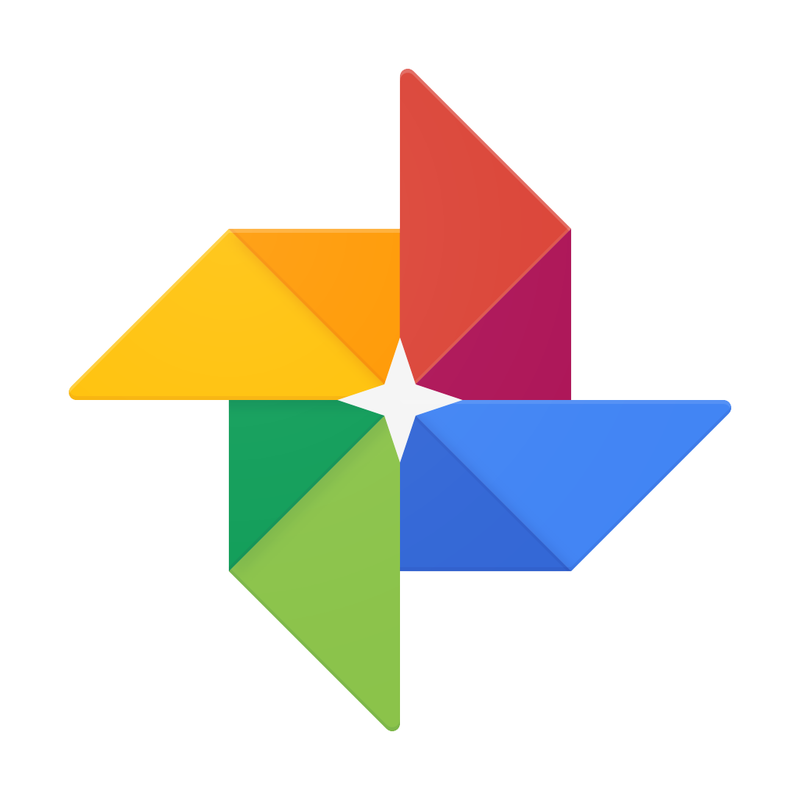 I truly love the ease and convenience of Google Photos. My biggest complaint is the length of time it takes to transfer your photo library into the app, and I really wish it would upload in the background. 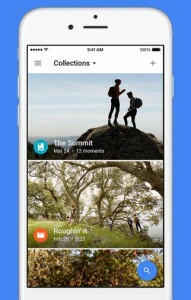 Once the images are uploaded, though, Google Photos provides a wealth of options for making the most of your iOS photography. Google Photos is available for free on the App Store. 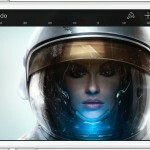 It requires iOS 8.1 or later and is compatible with iPhone, iPad, and iPod touch.